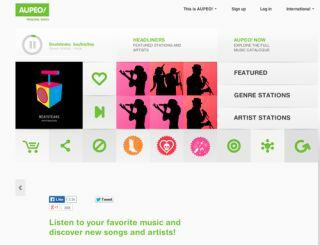 Aupeo plans to launch surround sound music streaming platform | What Hi-Fi? Aupeo has announced details of a new partnership it says will lead to the first streaming platform capable of streaming music in DTS-HD surround sound. Elliot Scheiner, the Grammy Award-winning producer and engineer, is collaborating with Aupeo and DTS to create the best possible service. Aupeo is already a leading streaming platform, but says adding multichannel audio will further enhance what it offers to automotive customers. Using a high performance adaptive bit-rate profile of the DTS-HD format, the company believes it can deliver a cinematic surround sound experience. David Taylor, CTO and managing director of Aupeo, said the new service – which was demonstrated at CES – is expected to launch later this year.